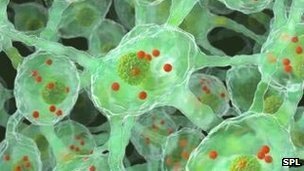 Scientists in the US have successfully made human brain cells in the lab that are an exact replica of genetically caused Parkinson’s disease. The breakthrough means they can now see exactly how mutations in the parkin gene cause the disease in an estimated one in 10 patients with Parkinson’s. “This is the first time that human dopamine neurons have ever been generated from Parkinson’s disease patients with parkin mutations,” said Dr Jian Feng who led the investigations. Dr Michelle Gardner, research development manager at Parkinson’s UK, said the study was particularly exciting because it provided a new way to investigate this genetic form of Parkinson’s.